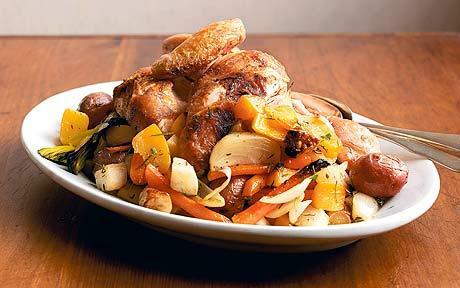 Roast chicken for soups, salads, sandwiches and pasta dishes. Presented by the legendary Thomas Keller of French Laundry and Per Se fame, we’ve riffed on the classic whole roasted chicken dish with our own little Mediterranean pizzazz. This is the perfect make-it-on-Sunday dish for its versatility all week long. Slice chicken up for sandwiches, add to salads and soups or eat on their own. Enjoy cold or warm. Whole Lemon, juiced. Keep whole lemon. Wash chicken thoroughly with Eat Cleaner Seafood + Poultry Wash. Tenderize overnight. Remove the chicken from the refrigerator and leave to stand for 1½ to 2 hours, or until it comes up to room temperature. Preheat the oven to 240°C/475°F/gas mark 9. Season the cavity, add three of the garlic cloves, lemon juice and five sprigs of rosemary, then massage the inside to infuse it with the flavors. Stuff chicken with whole lemon and truss. Peel the turnips and cut each into eight wedges. Combine all the vegetables and the remaining garlic and rosemary in a large bowl. Toss with three quarters of the oil and season. Spread out the vegetables in a large cast-iron frying-pan or roasting-tin. Rub the remaining oil all over the chicken and season generously. Make a nest in the centre of the vegetables and nestle the chicken in it. Cut the butter into four or five pieces and rub into the breast. Put the pan in the oven and roast for 25 minutes. Reduce the heat to 200°C/400°F/gas mark 6 and roast for an additional 45 minutes, or until the juices run clear. If necessary, return the bird to the oven for more roasting, checking it every five minutes. Transfer the chicken to a carving board and let it rest for 20 minutes. Just before serving, set the pan of vegetables over a medium heat and reheat, turning the vegetables and glazing them with the pan juices. Cut the chicken into serving pieces, arrange over the vegetables, and serve. 1. Your food may be filthy Before it reaches you, it’s traveled an average of 1,500 miles and has been touched by at least 20 sets of hands. All fresh produce may contain contaminants from soils and dirt residue, chemical fertilizers, pesticides, and waxes, which can lead to serious and life-threatening illnesses, such as Salmonella and E. coli. Even ‘pre-washed’ salad comes with it’s own bag of risks. Four recalls of bagged lettuce and spinach in the last 3 months is nothing to sneeze at. 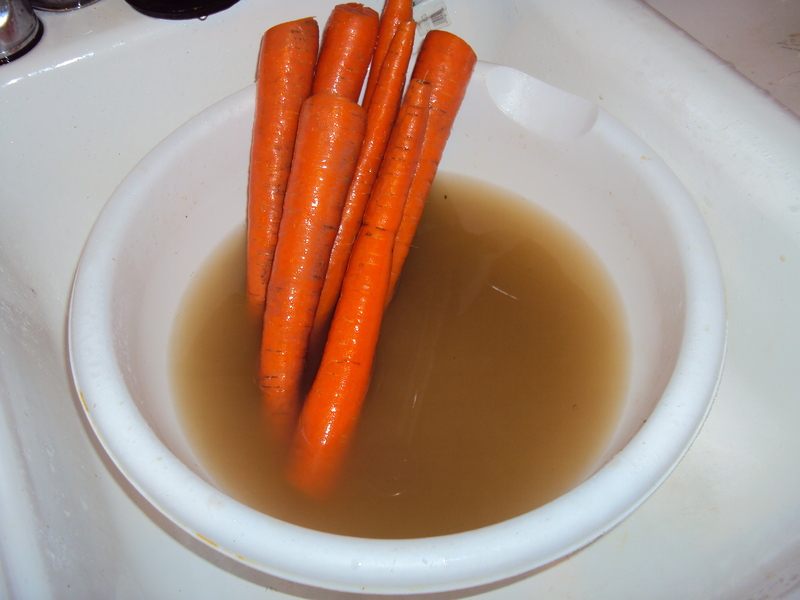 And if you think eating ‘organic’ produce means you don’t need to wash it, take a look at these carrots. Organically grown and cakes with dirt and manure, from our local fresh grocer. 2. Protect your Family and their plates. American consumers are exposed to toxic chemicals known as persistent organic pollutants (POP) as many as 70 times a day! POP exposure has been associated with immune system suppression, nervous and hormonal system disorders, reproductive system damage, and various cancers, including breast cancer. Research ingredients, shipping practices, and handling procedures of your local supermarket before you buy. Where possible, support local stores by buying organic. 3. Clean foods taste better. Because rinsing is just not good enough, sometimes it’s necessary to use a high-quality food wash. Certain food washes are scientifically proven in removing wax and pesticide residue while killing bacteria, and without altering flavor or taste. When selecting a food wash, look for natural ingredients such as citric acid and sea salt, while trying to avoid alcohol, as this can be unsafe if consumed, particularly for children. Also, wash the surface of cutting boards, countertops and hands regularly when preparing uncooked food, including produce, eggs, poultry, meat and seafood. 4. Proper procedures = happier life. According to the Food Safety and Inspection Service the four keys to food safety are: CLEAN (wash hands, utensils, and cutting boards before and after contact with raw meat, poultry, seafood, and eggs) SEPARATE (keep raw meat, poultry, and seafood apart), COOK (use a food thermometer — you can’t tell food is cooked safely by how it looks) and CHILL (keep leftovers refrigerated at 40 °F or below). With proper attention to food handling and adequate washing techniques, you can greatly reduce your risk of food borne illness and exposure to potentially harmful contaminants. 5. You are what you eat! You wouldn’t eat the dirt from under a random stranger’s fingernails, or lick the dirt from the bottom of your shoe, so why would you eat fruit and vegetables with potential life-threatening viruses and bacteria trapped under their surfaces? In March 2010, Consumer Reports advised people to buy pre-packaged vegetables as far from their use-by date as possible, wash the greens yourself even if they claim to be “prewashed” or “tripled-washed,” and prevent cross contamination by keeping greens away from raw meats. Think before you bite and eat cleaner at every meal. 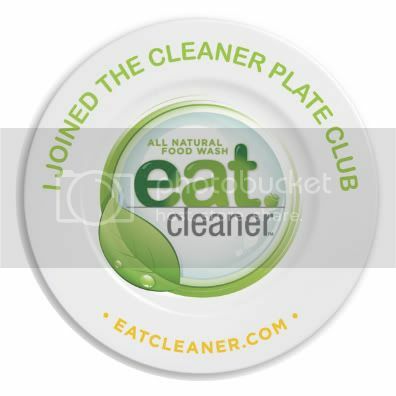 For more information on eating cleaner, visit www.eatcleaner.com. You are currently browsing the The Cleaner Plate Club/Eat Cleaner blog archives for August, 2010. Get all the news that's fit to eat! I'm ready to dig in! Join our Eat Cleaner Facebook Fan Club!